It’s better to risk it all for love, than to risk nothing for loneliness. It’s better to get out of the boat and sink when walking towards Jesus, than stay safe in the boat, shaking your head at Peter’s impulsiveness. 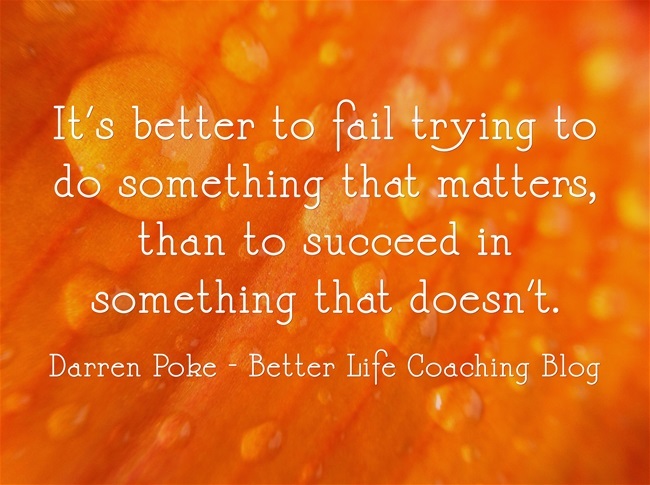 It’s better to fail trying to do something that matters, than to succeed in something that doesn’t. Previous post – What Can We Learn From Ravens? « What Can We Learn From Ravens?